Lot 713. BYZANTINE EMPIRE. Romanos I Lekapenos, 920-944 AD. 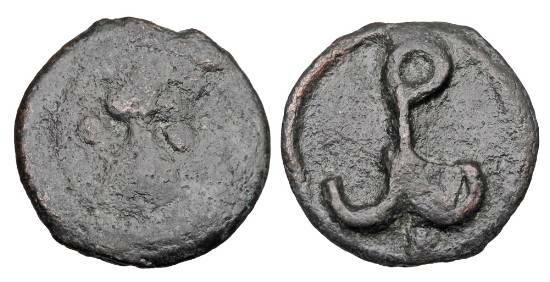 Cast Æ25 Follis of Cherson. ex Hoffman collection.